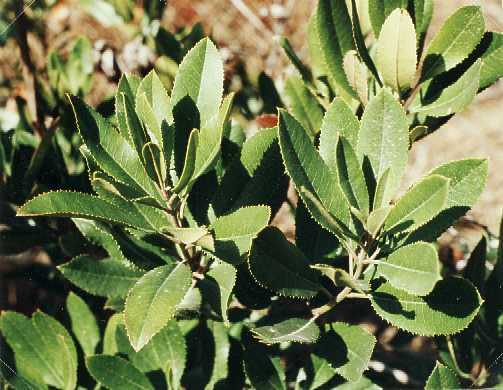 Notes: A native shrub or tree, it has dark green leaves with jagged edges and reddish-orange berries. 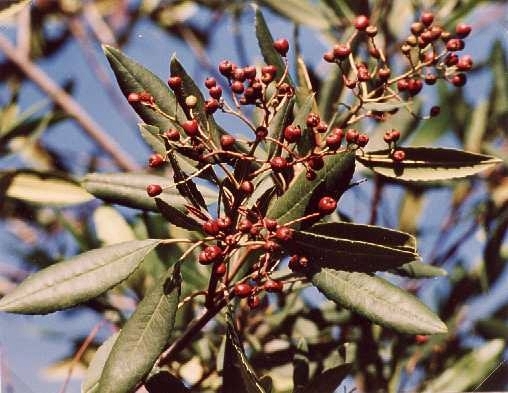 Because the first settlers thought the leaves and berries resembled holly, and because the plant was so plentiful in the area of what is now Hollywood, they named the city after it. Can grow to 25 feet.